Share a taste of Southern Oregon's best. Juicy Organic Royal Verano® Pears are the perfect complement to a quartet of organic cheeses from our neighbors at the Rogue Creamery. 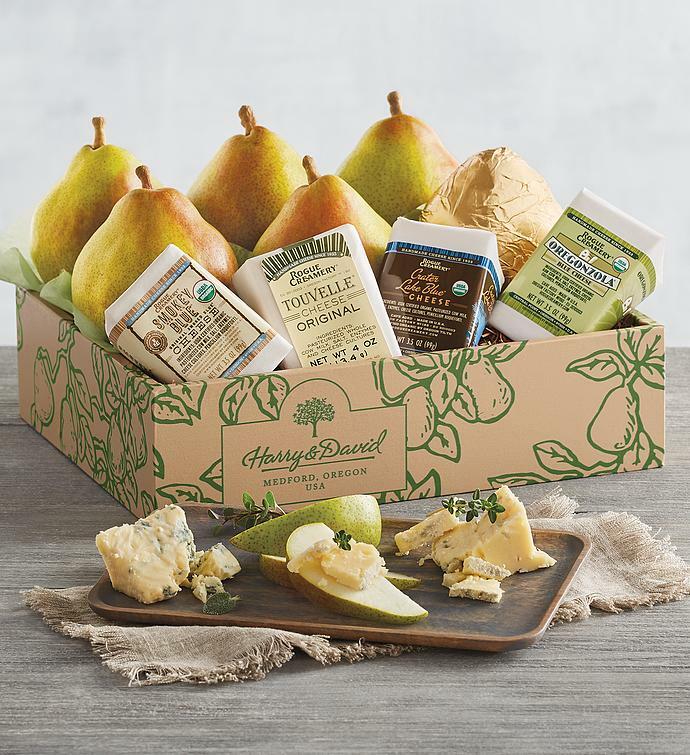 The selection includes Touvelle®, Smokey Blue®, Crater Lake Blue®, and Oregonzola® cheeses, chosen to enhance the flavor of these sweet pears.